Simple and chic 16" white gold chain, can be partnered with a wide range of pendants, or simply worn on its own. 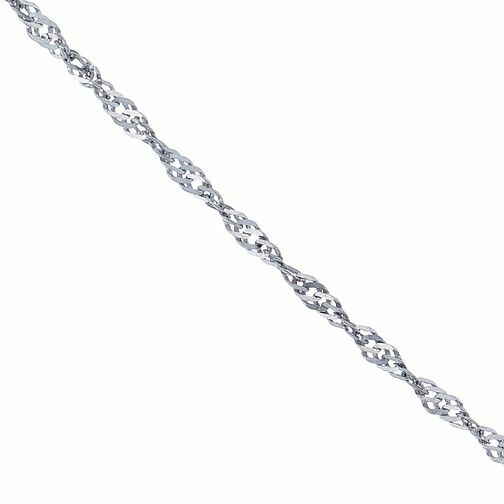 9ct White Gold 16" Chain is rated 5.0 out of 5 by 1. Rated 5 out of 5 by Anonymous from A high quality chain just as described. An ideal chain to wear with a pendant. A good sized fastener: not too small and fiddly to open and close. Prompt delivery from H Samuel.